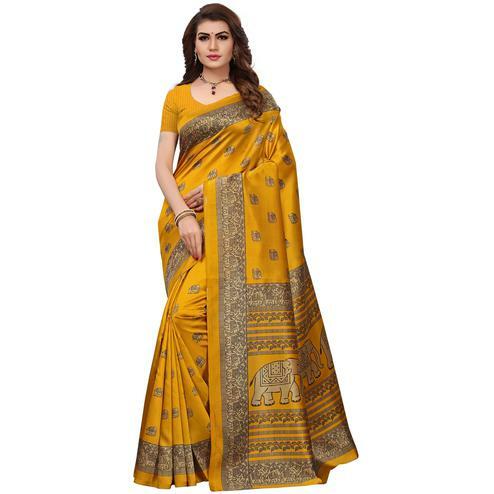 Another colour other than red that is considered auspicious is yellow. 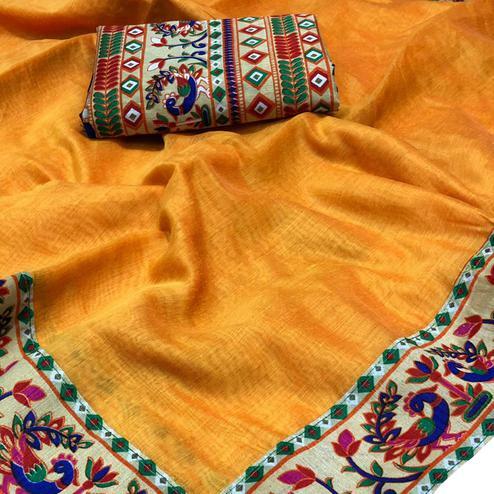 The colour is celebrated everywhere during weddings and rituals. 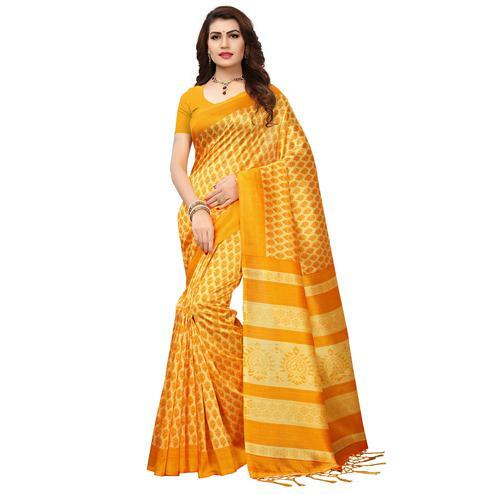 Yellow outfits have a different vibe altogether. 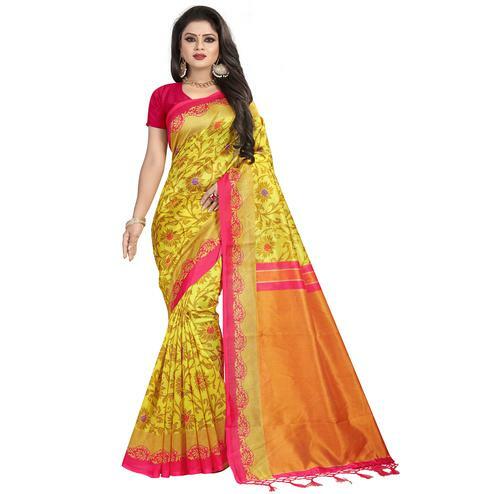 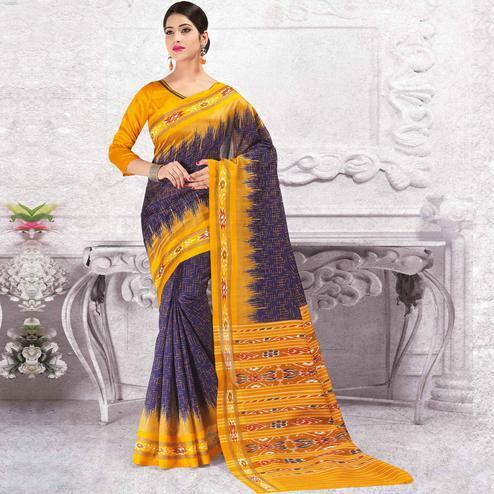 To catch up on this vivacious colour Peachmode has brought a huge range of yellow sarees. 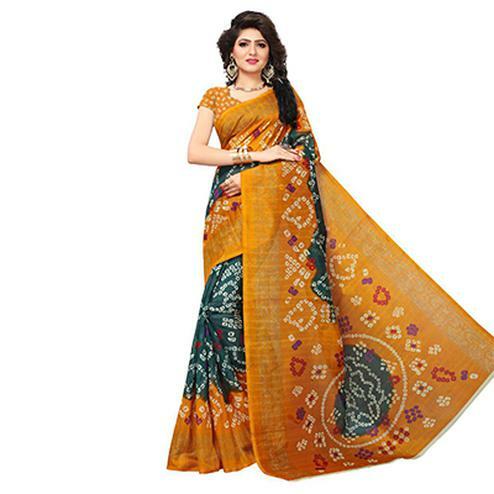 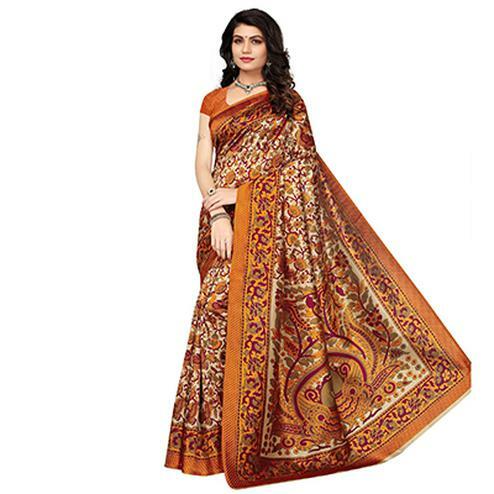 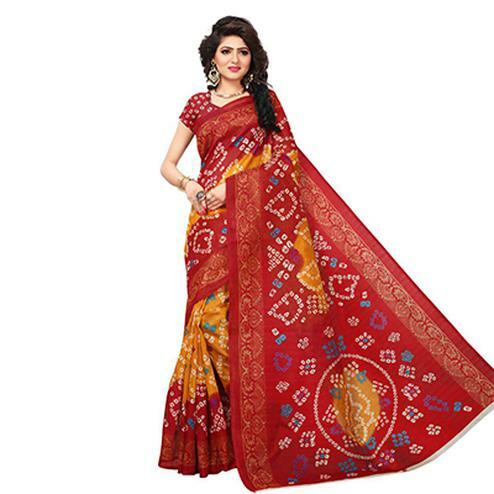 Exploding with zest and energy these women sarees can be worn on any occasion. 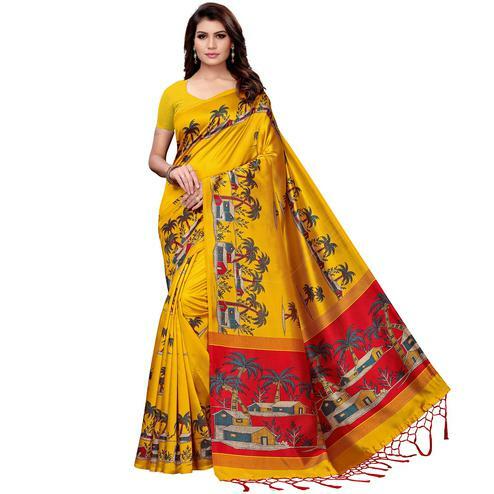 We have yellow sarees for haldi, yellow sarees for wedding, receptions and so on. 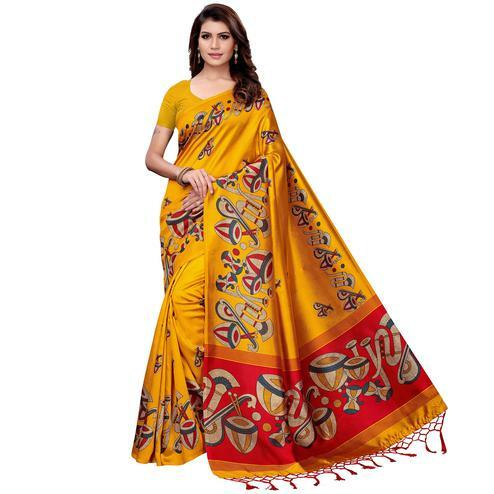 Yellow is associated with happiness and glory. 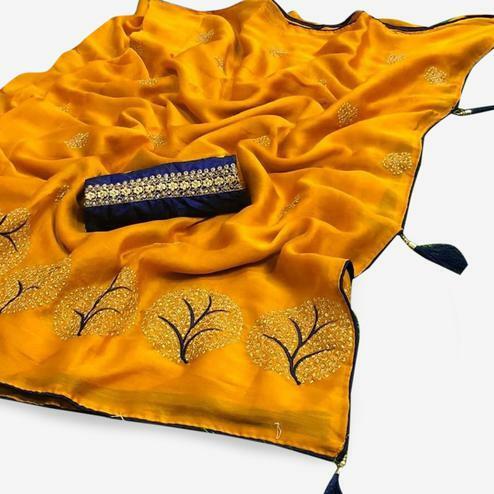 Hence, the wearers are sure to liven up any event they attend. 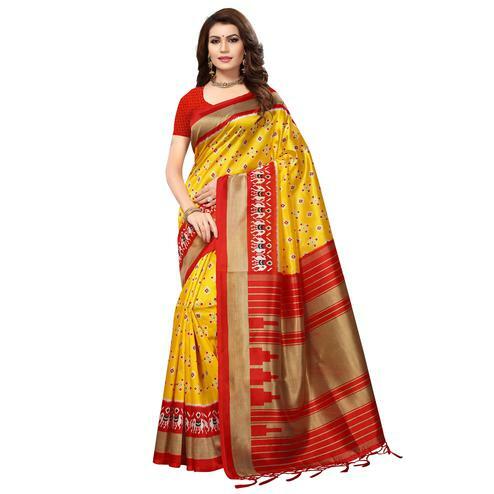 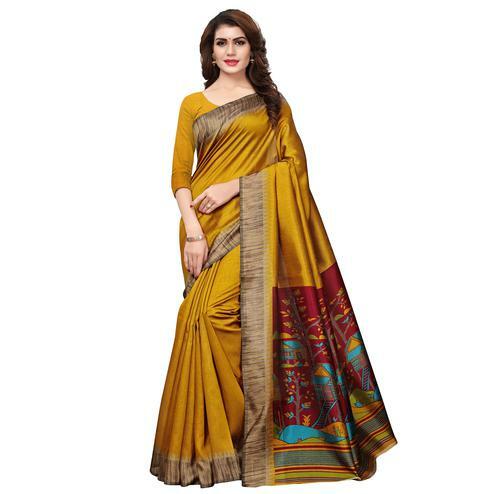 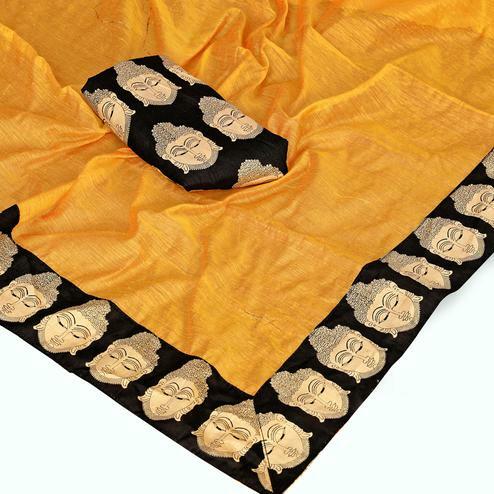 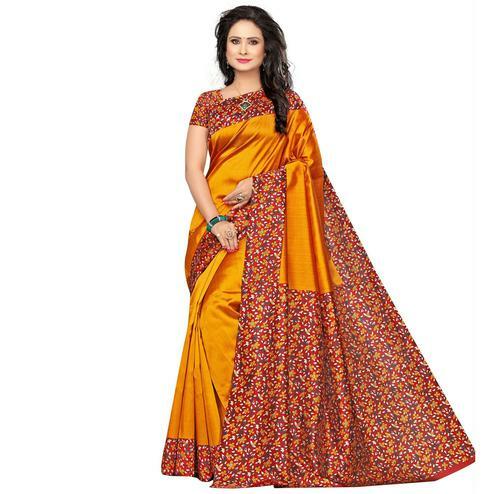 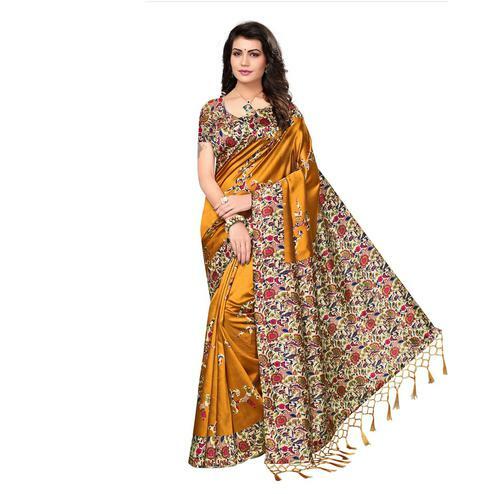 These yellow fashion sarees come in wide variety, few are contrasted with different colour borders like hues of pink, green, red and golden while others are dyed in different shades of yellow, which are further decorated with authentic piece of handwork, beads, zari work, resham and much more. 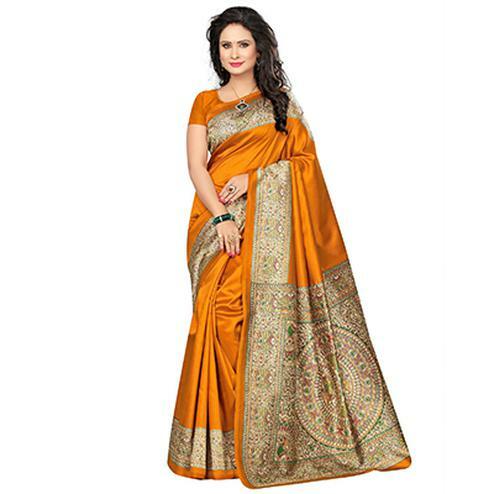 These embellished and embroidered sarees are popular amongst all age women. 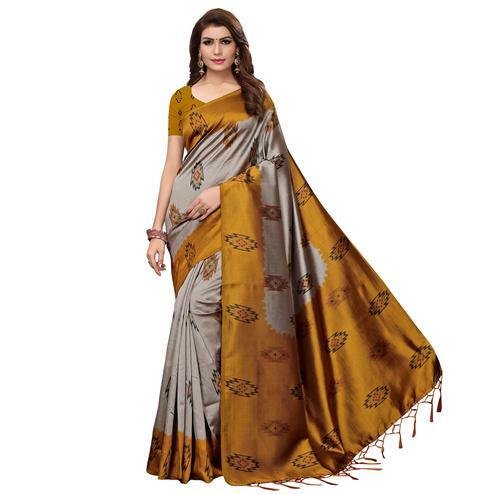 out the best in you. 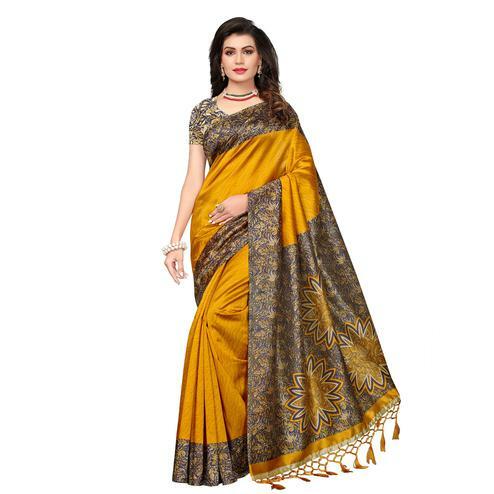 For weddings, you can go for a pure mustard yellow silk saree with a contemporary blouse and a fusion jewellery. 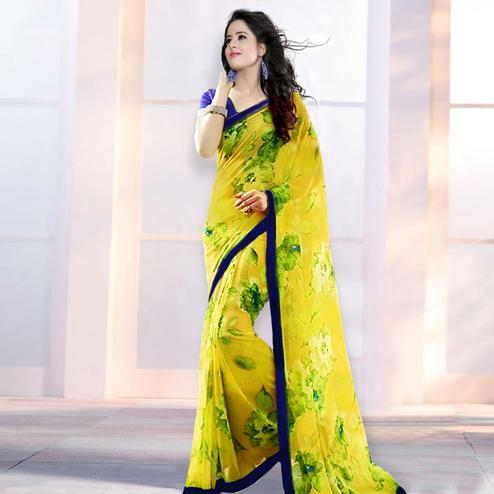 It will definitely make you the highlight of the party. 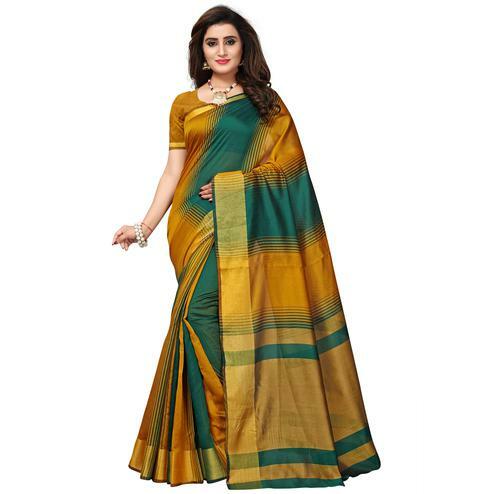 If you want to go full traditional then opt for a kanchivaram silk saree to look classy and elegant. 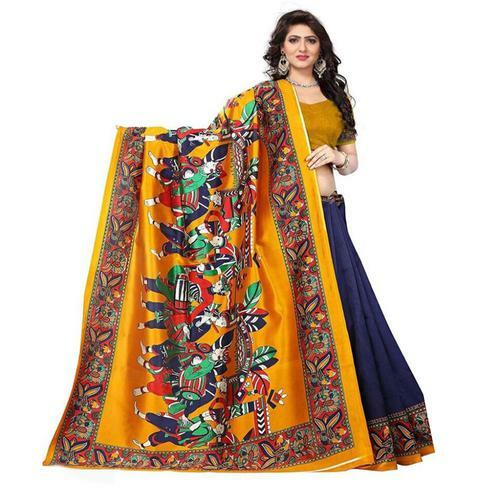 Now, you can buy exclusive styles in ethnic wear only on Peachmode with unbelievable price range and doorstep service.